Well you all know by now that I love to paint birds, so I’d like to introduce you to a very talented bird photographer Colin F Mucklow. 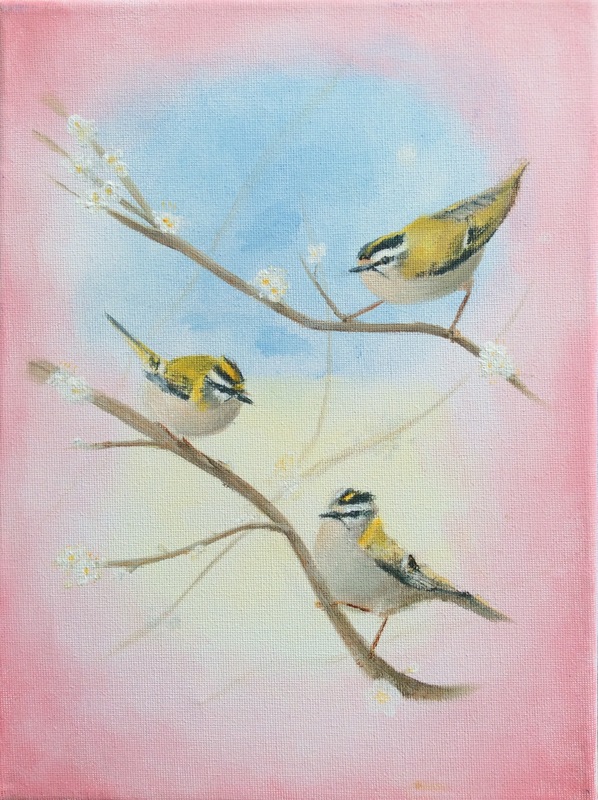 Colin kindly allowed me to use some of his photographs of Firecrests as inspiration for this painting. This is one of a series of bird paintings with a vintage feel which will be shown in this Summer’s exhibition.